The world of commerce is constantly evolving. 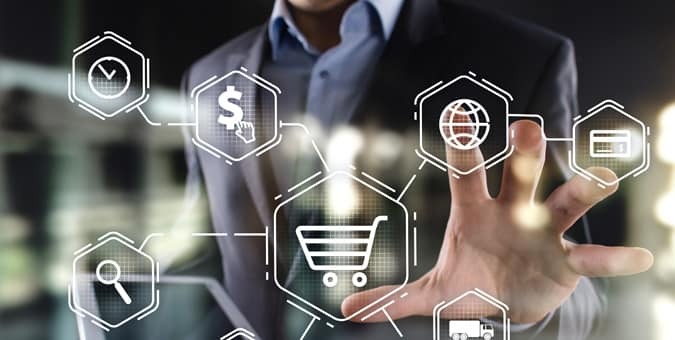 Both merchants and retailers are channeling resources in new technology systems as they try to adjust to the shifting market. First Data, a leading financial services company and payment gateway solution, plays a critical role in this market. First Data is a key player in providing merchants with credit card processing service and payment solutions. eCommerce merchants want to ensure a smooth shopping experience and checkout process for customers at all times. Quality performance at the checkout process matters when building customer trust and ensuring conversion rates for an online store. Payeezy is a First Data-powered business platform adapted towards assisting merchants in establishing and growing their eCommerce business. Payeezy serves as a connection hub between the merchant's point-of-sale and the acquirer's payment gateway. This platform features a robust set of web store capabilities, security payments, payment reporting, and fraud prevention. It allows merchants to be able to accept a wide range of payments with integrated solutions through the site's open API environment. Payeezy offers real-time access to insights about customer payments, orders, and transaction information beneficial to any e-store operator. Paypal, Gift card, and Apple Pay features can all be integrated into Payeezy and your merchant's eCommerce platform to provide solutions relevant to business needs. Consider hiring Payeezy custom software development experts who can do custom integrations and configurations with Payeezy plug-ins. A Custom fit ensures secure payments, EMV compliance, and overall merchant success in the context of individualized environments. Many merchants are taking in-store businesses online. Competitors such as Amazon and other e-tailer giants take up a majority of the market, so taking the reins calls for seamless, back-end and front end processes. While Payeezy can handle merchant's online payments, the Clover point-of-sale system can manage in-store payments, providing insights on inventory tracking, employee management, and critical daily operations. Because the Clover system is cloud-based, data is always secure and monitored from anywhere on any device. First Data acquired Clover in 2013 with hopes of providing payment processing and point-of-sale solutions to merchants worldwide. Owning a POS system that is designed to suit specific business needs can be a valuable tool for organizations. We ensure that your customers are equipped with compatible, intuitive, and feature rich Clover POS software and pin pad interfaces with modules for CRM, accounting, inventory management, analytics and more. All solutions offer e-commerce integrations to Shopify, Big Commerce, Magento, and PrestaShop for cross-channel functionality. CardSecure is payment security platform offering omni-channel payment acceptance integration into well-known ERP systems like Oracle and SAP. For enterprises who are looking for low transaction costs and ensured security compliance this platform offers just that. Cardpointe is aimed for businesses who want to easily manage their merchant account for real time transaction management. It offers a virtual terminal that allows business owners to have a web version of their POS or payment processing system. Additionally offering point-to-point encrypted terminals for merchants to take payment details at point-of-sale and custom reporting to gain acumen on how customers are shopping. Rapid Connect is a payment integration technology layer that facilitates simplified integrations with all First Data payment types, platforms, and industries. It provides merchants with a streamlined process that delivers payment-focused applications for customers to pay in any way and at any location they choose. Rapid Connect gives developers the tools and resources needed to integrate multiple payment applications through a single interface, translating into a flexible technology innovation that supports simple testing with online test environments. For merchants, this transforms into customized solutions that suit specific business needs. With a Rapid Connect solution, organizations can integrate various payment services into any merchant application. If your merchant has First Data implemented solutions in their business, you want to continue to ensure a modernized and streamlined payment process throughout their business. Our dedicated RapidConnect experienced developers can help business owners achieve integrated payment processing and security compliance solutions.